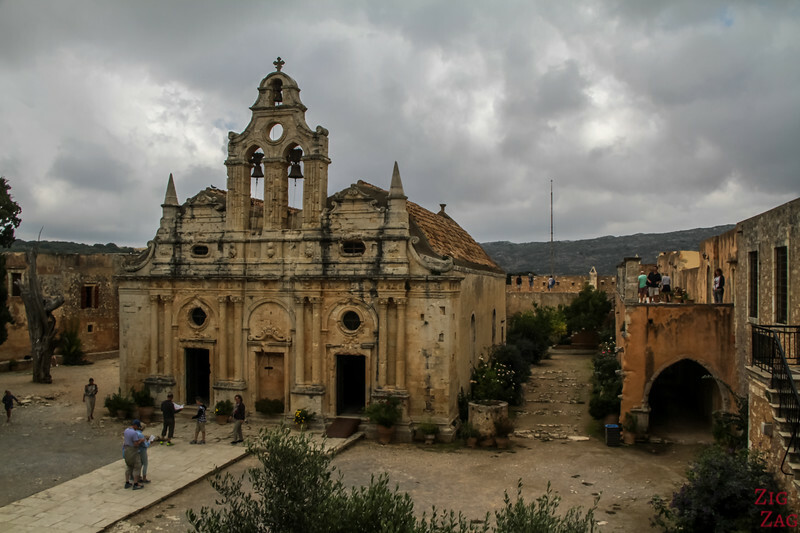 While road tripping around Crete, you should visit some monasteries and churches. They have played a significant role in the history of the island. 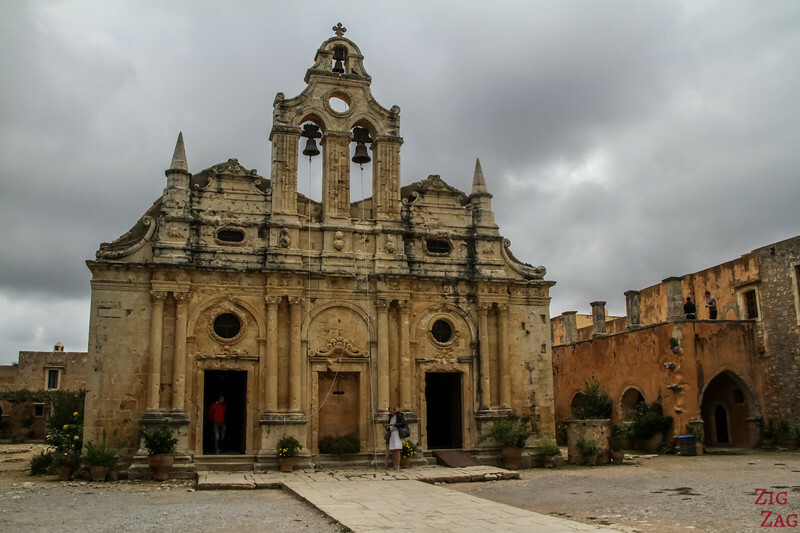 The most significant one is the Arkadi Monatery. 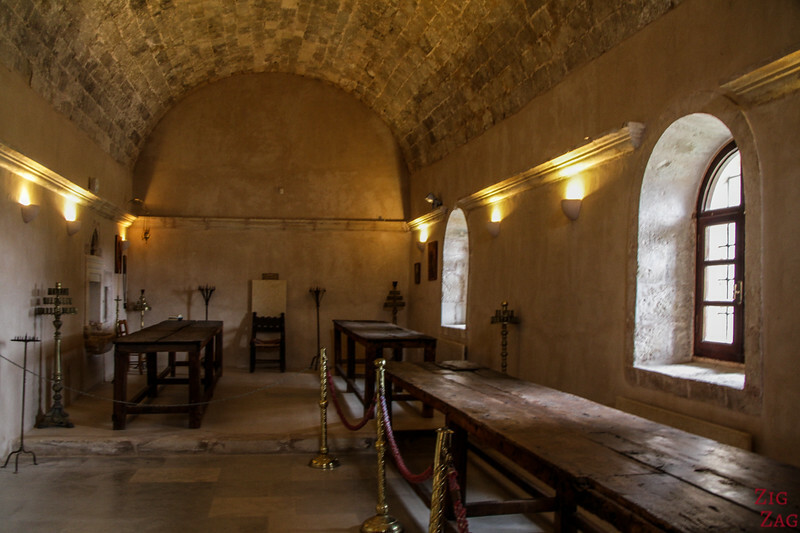 Located in the center of the island, it played a vital role in the resistance against the Turks. Below is my guide with pictures to help you plan your visit. 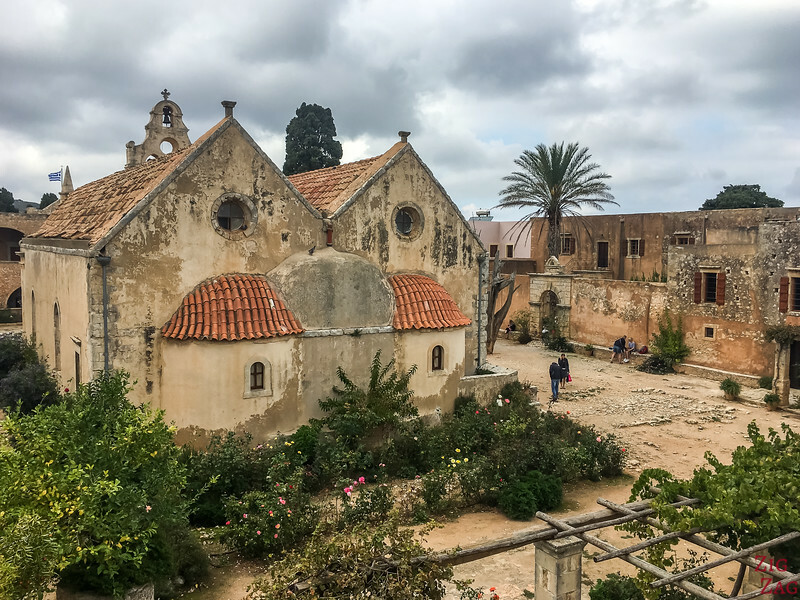 Why visit the Arkadi Monastery in Crete? 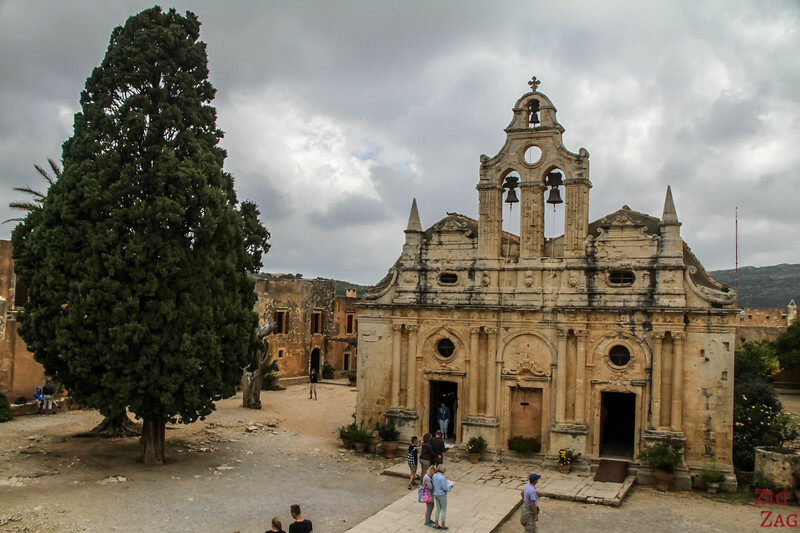 Arkadi is the most famous and the most visited monastery in Crete. And it was one of my favorites. 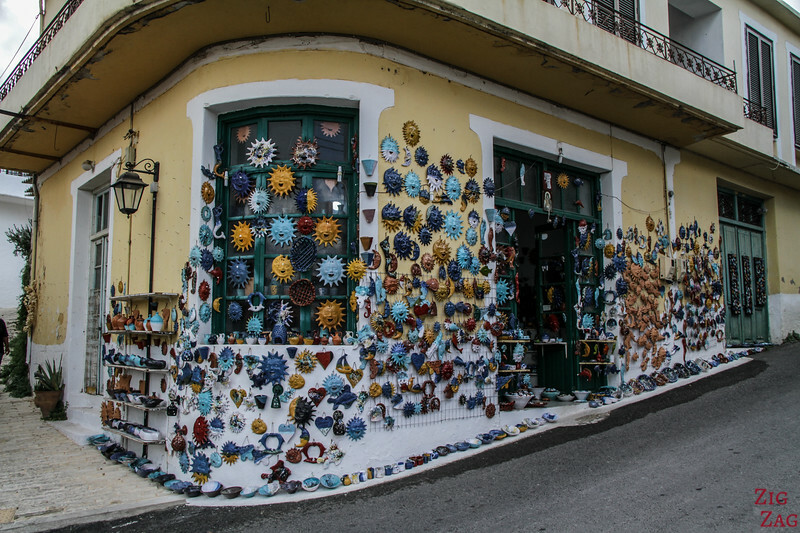 This is a good stop to have on your Crete road trip. Some websites says that it has been designated by the Unesco as a European Freedom monument. However I can't find any reference to such a classification on the Unesco website... and it did not see any signs referring to this at the monastery. One of the most famous places to visit in Crete. Near the ticket booth, you can find a map of the different places to see around the cloister. The map is also included in the mini-guide you receive at entrance. 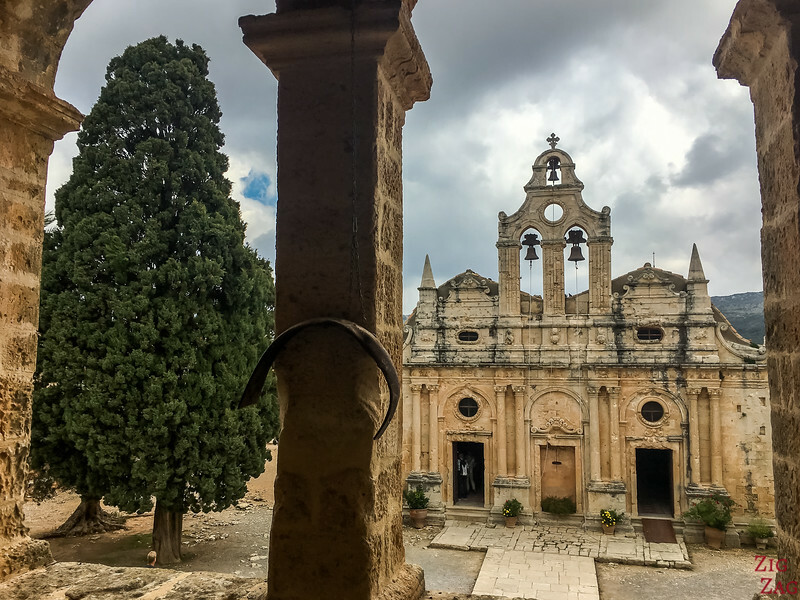 Arkadi Monastery Dress Code - I have seen people entering in shorts. They don't seem as strict as other monasteries. But you should cover knees and shoulders by default. 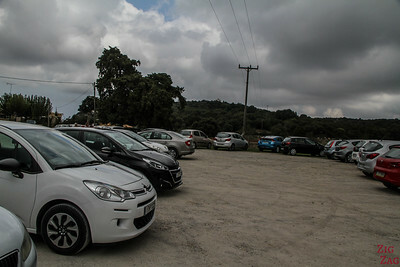 Accessibility - It is easy to visit the monastery. Few steps to get to the second level if you want. Photography rules - no photography in the church allowed (like in all churches in Crete) - I noticed in other monastery that photos were not allowed in museums. I did not see a sign for this one but I may have missed it. 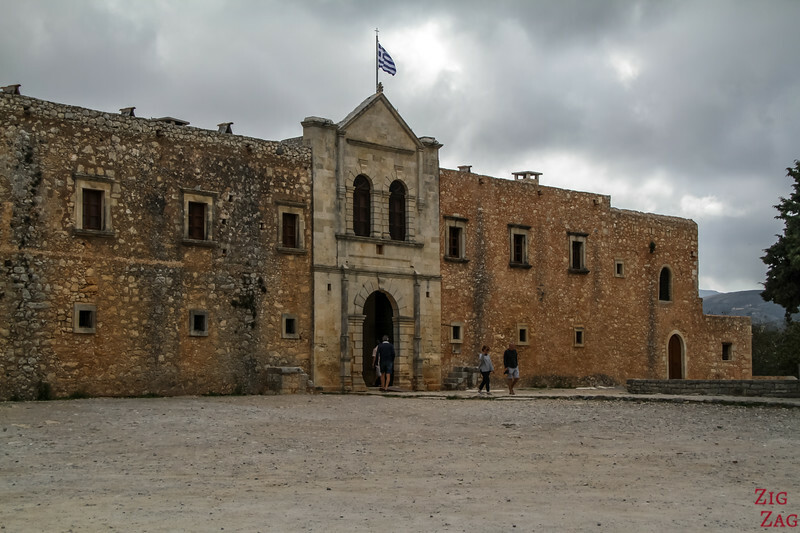 For visiting Arkadi, staying in the touristic town of Rethymno is quite practical. It is only 30min away. Check out the best rated accommodations in Rethymno. 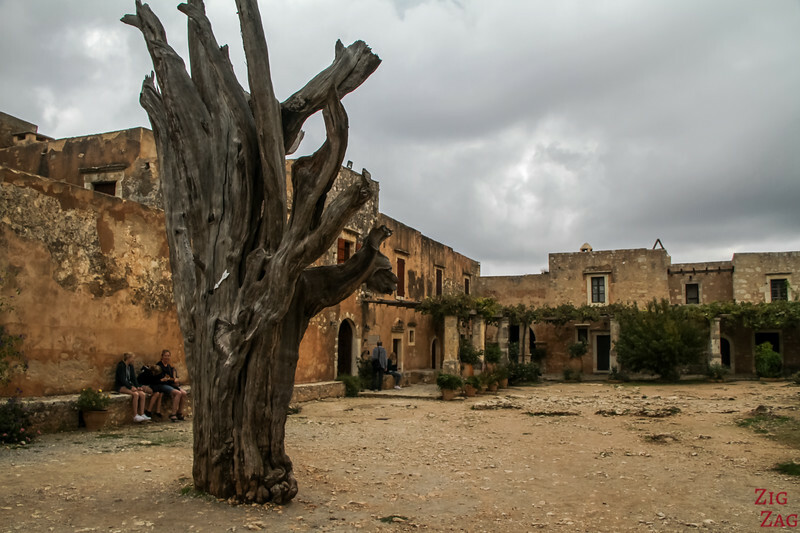 But if you want something more in Nature with a lot of character, not far from Arkadi is the Kapsaliana village hotel, which looks stunning. Check out photos and book. In 1722 it was extensively rebuilt and became a well organized community with a high standard of learning. 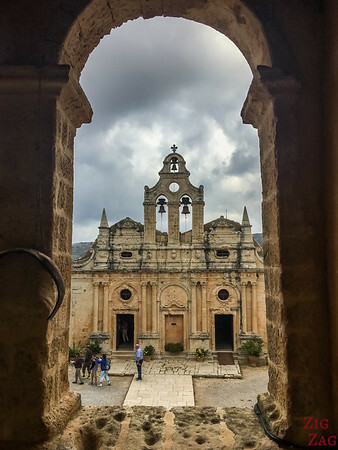 During the 1866 revolution, the tragedy of the Arkadi monastery was the center of the revolution movement. It was used as a shelter for men, women and children. It was attacked on the 8th November but resisted thanks to its fortified walls. However on the 9th, the Turks made it inside. Decision was taken to set the barrels of powder killing both the locals hidden in the powder room and the Turks forces trying to enter. 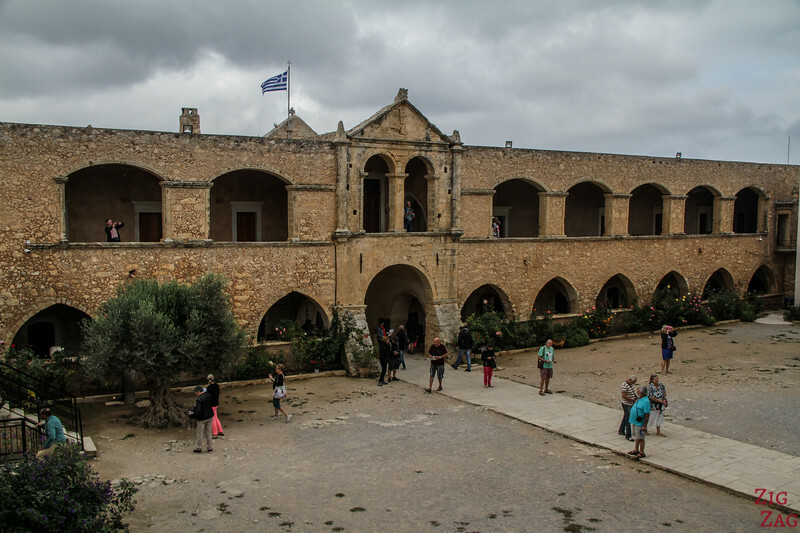 The Battle of Arkadi was considered a Victory by the Turks but it provoked indignation around the world and in Crete. It had a significant impact on how the rest of the world viewed the conflict. As you arrive on the carpark, what you first see the fortification wall protecting the monastery and the gate. It gives it a feeling of a fortress rather than a monastery. Very strange. The door dates back to 1870. It was built to replace the 1693 one destroyed during the attack. As soon as you enter the cloister, you are attracted by the golden facade of the church. It survived the attack. 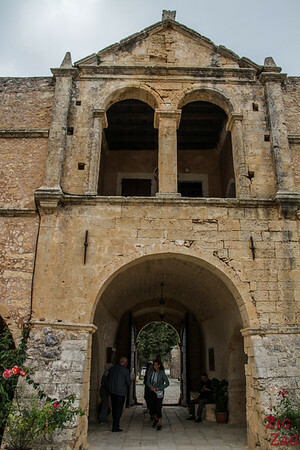 It was built in 1587 to replace a smaller church from the 13th century. You can notice the 4 pairs of Corinthian columns and the archways in between. The 2 exterior ones have circular opening decorated by palm leaves. The edifice has 2 naves with an altar screen of cypress wood from 1902 (photos not allowed inside). One of the nave is dedicated to Saint Constantine and the other to Saint Helen. Sadly even before the 1866 battle, the church was torched and the icons entirely destroyed. Only a cross, two wooden angels and a passage of the resurrection of Christ were saved. You can see the church from many angles: front and back and also from the second floor of the surrounding buildings. One of the most famous elements of the cloister is the dead tree. It has been left there because you can still see the bullet holes in it. This cypress is the standing witness of the battle that unfolded here. Sadly many visitors take stupid pictures with it. 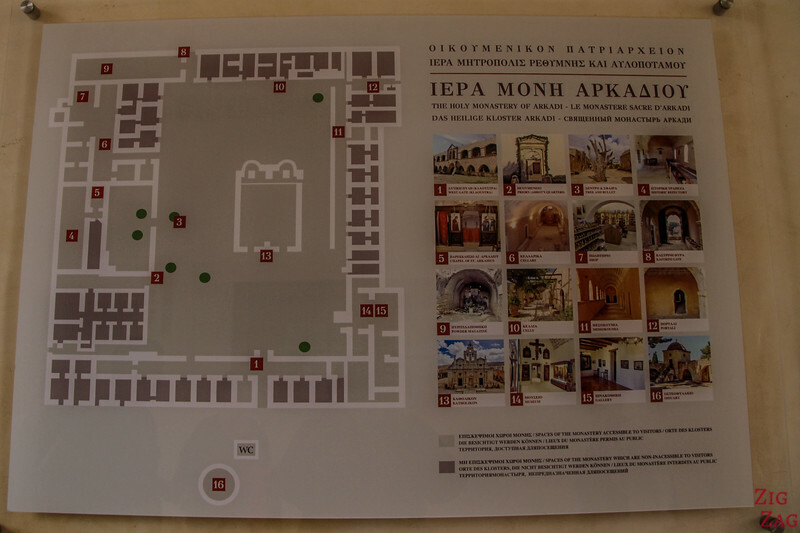 Contrary to other monasteries in Crete, this one is really organized for visitors with numbered locations to visit and explanations. 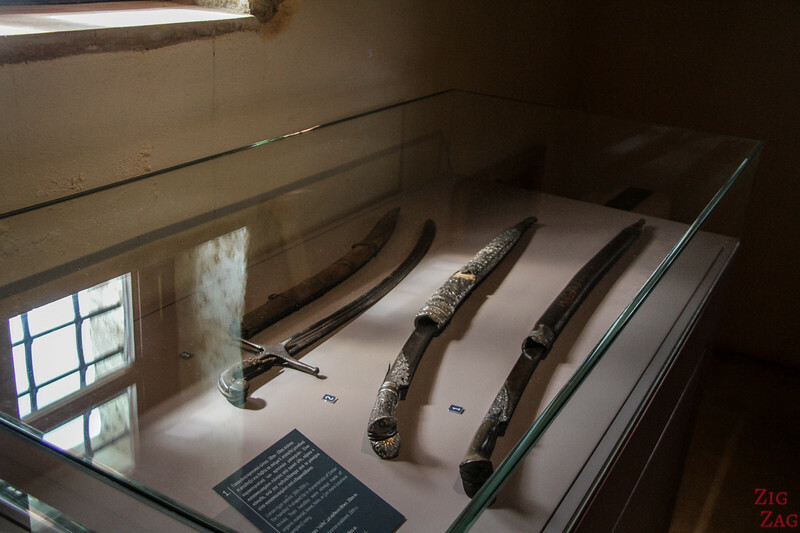 Things have been restored and tools placed to try and show how life was inside. 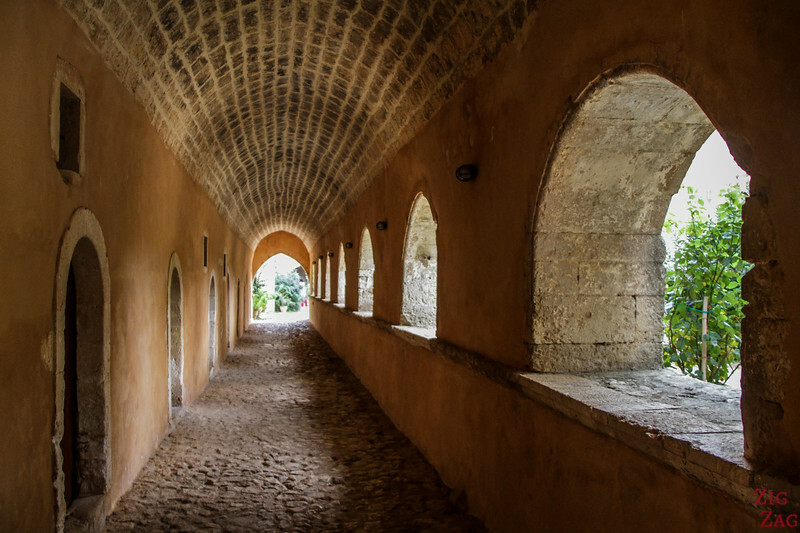 For example you can visit the long refectories: located in the Northern aisle, the 18m long vaulted room was were the monk were taking their meals. It was built in 1867. 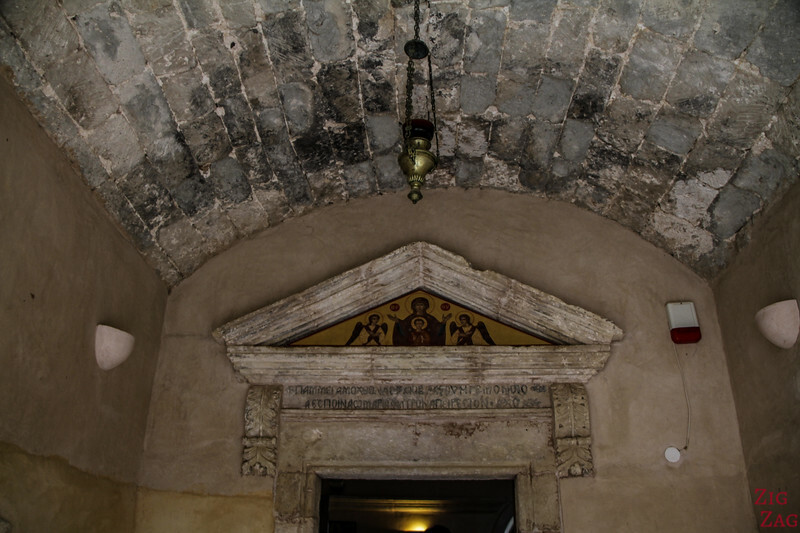 In the picture above you can see the entrance door with a inscription to honor the virgin Mary. 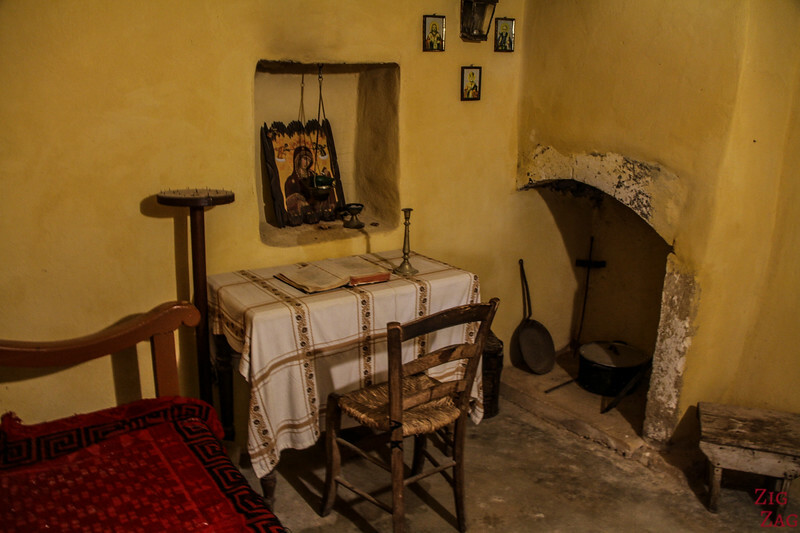 ...As well as the cellar where poor people and travelers could stay and eat. You can also see where the kitchen were located as they placed pots and tools (sorry my picture of that room is really bad, so I am not including it). You can enjoy the architecture with the corridors and visit some cells. You can see the set up of a typical monk cell. I was surprised by the number of cell. 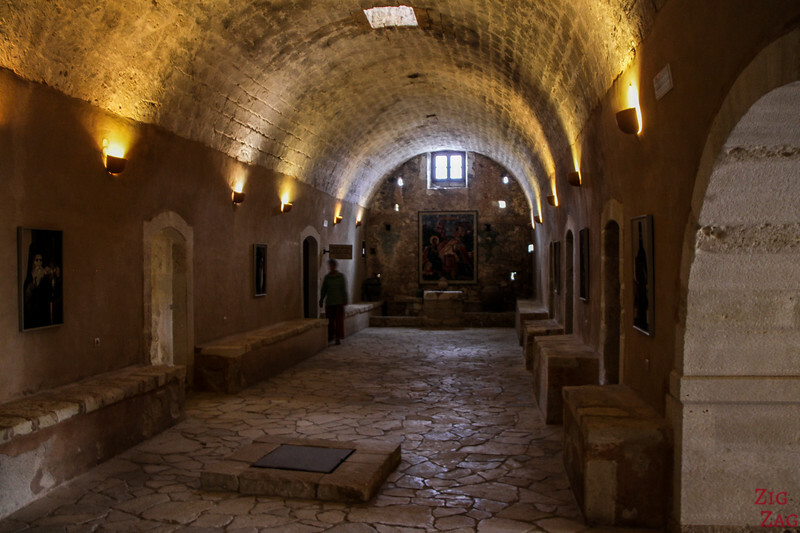 But then I read that "until the 16th century, it was an idiorrhythmic monastery where each monk had its own cell, owned property and was responsible for regulating its own life". 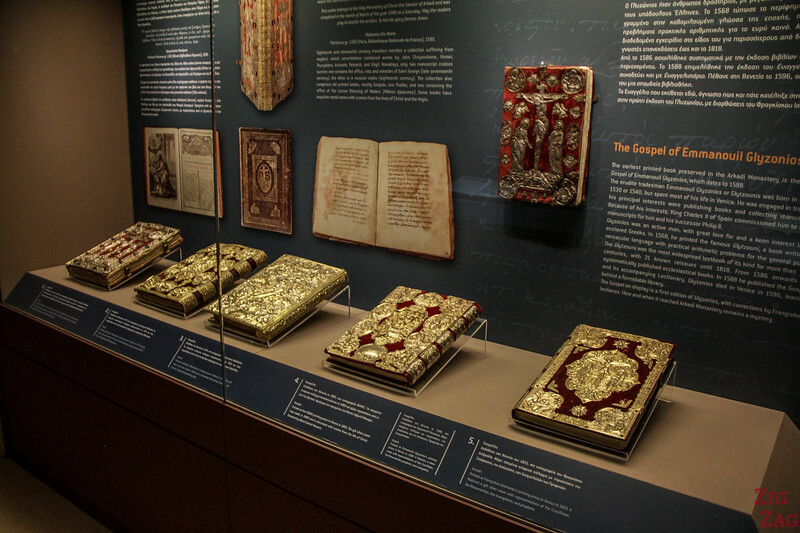 Do not miss a visit to thee Museum inside the monastery. 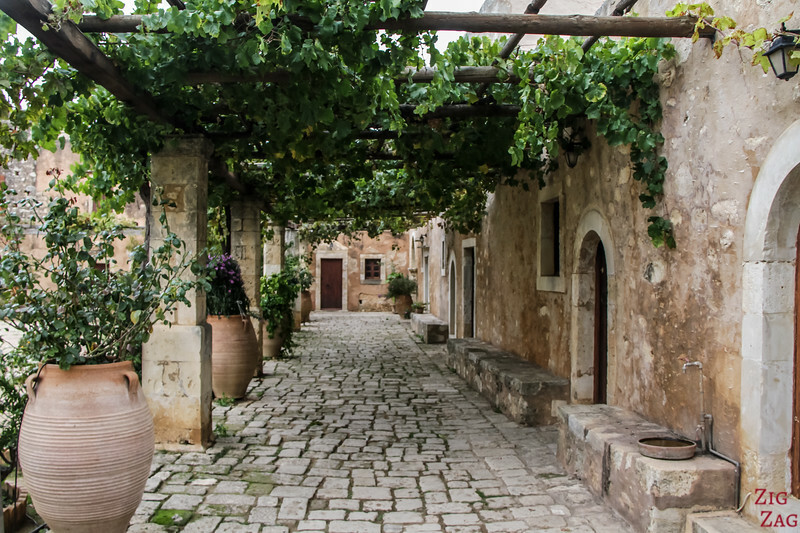 Excursions to the monastery often include a stop at the Margarites village which is not far. It is home to many pottery studios. It has a lot of charm in Summer but becomes empty during shoulder seasons and Winter. 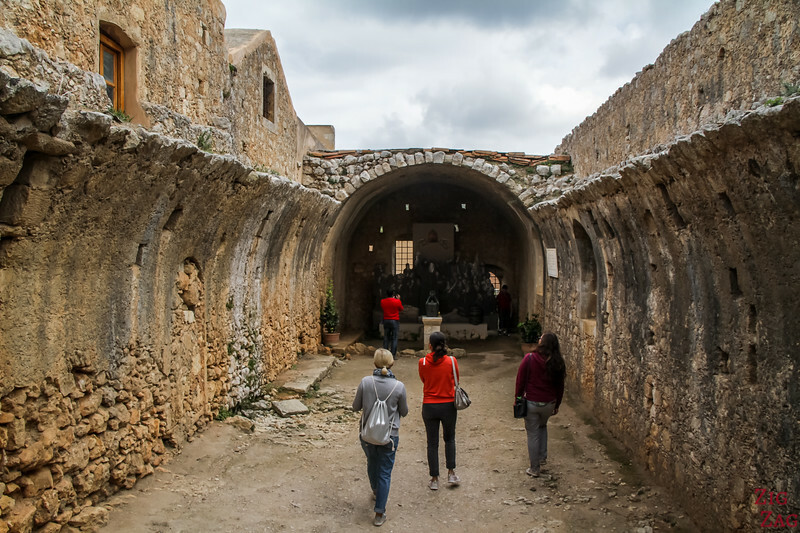 And if you are not in a road trip around the island but are exploring in depth this region you can discover the Arkadi Gorge and the Margarites Gorge. 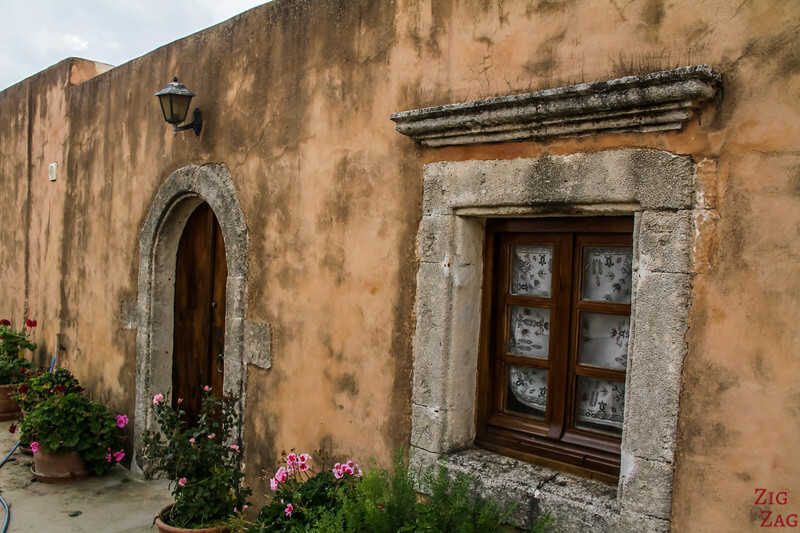 Want to see more of CRETE? Unique place, don't you think?